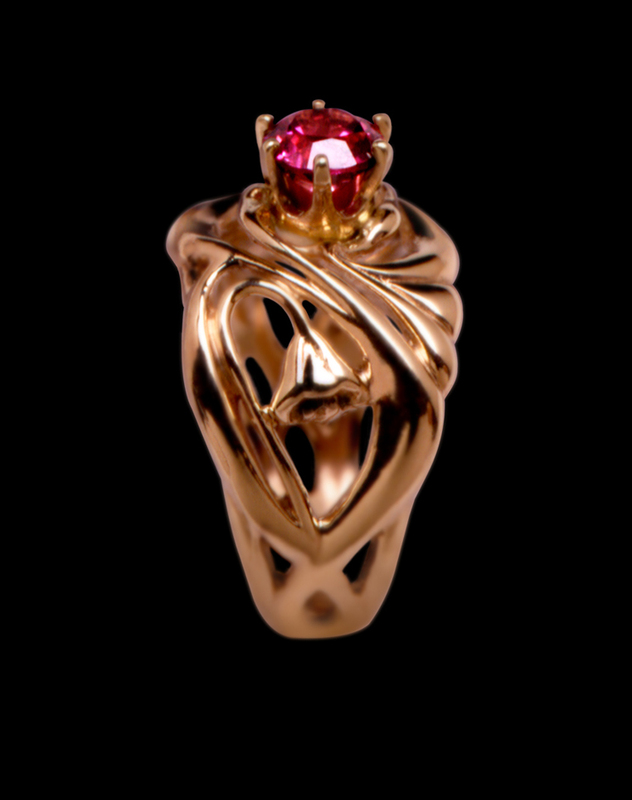 Image shown is 14kt yellow gold, with a faceted pink garnet held in a six prong setting. Available in gold and silver, with many size and stone options. Cabochon stones are bezel set.